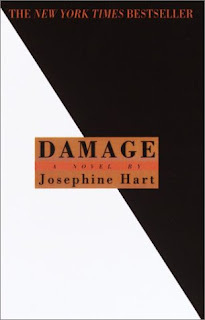 Damage, by Josephine Hart, reminds me of a classical tale from the dawn of literature. It's one of those stories that touches on archetypes, and distills them into a searing narrative that haunts your thoughts for months after. Damage is the story of a British politician who basically implodes his entire life by succumbing to the temptation of an inappropriate relationship. But the manner of his implosion, and the character of the woman he selects, is fascinating. It speaks to anyone who has wanted more in their life, and anyone who has been betrayed by that desire. It speaks to the damage caused by people who sacrifice compassion and empathy in service to their own desires. And it speaks to the train wreck that occurs during the juxtaposition of these characters. Twenty six year old me could not put this book down, and I've thought of it often over the years. I probably will never reread it, however - it's been twenty five years, and I don't know if fifty one year old me will find it as compelling.